We are absolutely thrilled to be able to share our cover for Nnedi Okorafor’s forthcoming novel, THE BOOK OF PHOENIX, today. 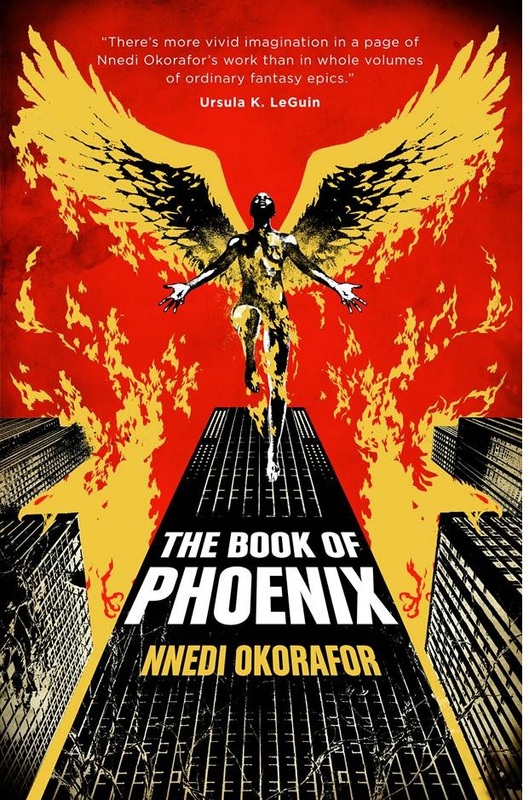 As with LAGOON before, THE BOOK OF PHOENIX’s stunning cover is by the award-winning South African illustrator Joey Hi-Fi. We’re sure you’ll agree that this is stunning. There is no book about me. Well, not yet. No matter. I shall create it myself; it’s better that way. My beginnings were in the dark. We all dwelled in the dark, mad scientist and specimen alike. A dear friend of mine would say that this time was when the goddess Ani still slept. In the darkness I slept. Until I woke. Until I stretched my wings. Until the day I learned to fly. I call my story The Book of Phoenix. They call her many things – a research project, a test-subject, a specimen. 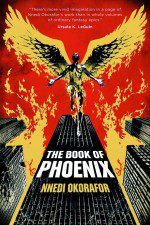 THE BOOK OF PHOENIX publishes on 7 May!